Red Deer, Alberta - As a child, Eden (Haubrich) Molineux ‘07/’09 had voice difficulties. 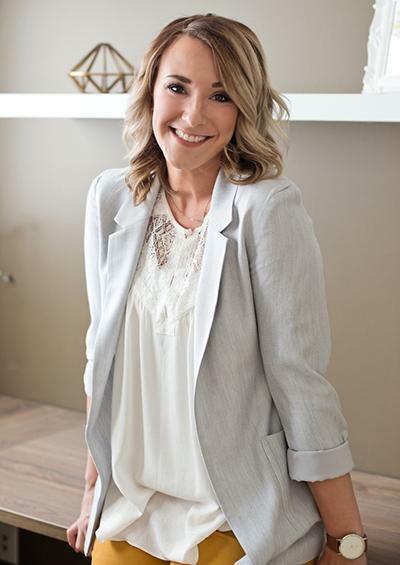 After earning her bachelor’s and master’s degrees in communication disorders at Minot State, the Alberta, Canada native returned home and began working in community and school settings supporting children from birth to sixth grade. She often found herself looking for ways to support children in talking about their communication differences with others, especially in the schools. 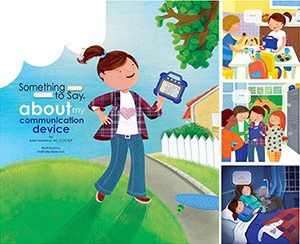 In November 2017, “Something to Say about Stuttering,” “Something to Say about My Speech,” and “Something to Say about My Communication Device” were published. The children’s books focus on speech and language differences, and Molineux hopes educators can use the books in their classrooms to support conversation about diversity and kindness. In therapy, the series demonstrate strong characters, model language for self-advocacy, and give children a place to begin discussing their communication strengths and needs. Children also find a sense of belonging when reading about characters similar to themselves. Although becoming an author may not have been in her original plan, working with children was. When it came time to apply for university, Molineux wanted to take courses associated with her major right away. “I chose Minot State because of the reputation of the department of communication disorders. The fact that I could begin classes related to communication disorders in my undergraduate degree was particularly appealing to me,” she said. The decision to attend Minot State was easy, and the sense of community made it easy to apply for and, once accepted, stay for her graduate degree. “Graduate school was challenging and prepared us well for a career that would require us to exercise our minds, engage in creative-problem-solving, and work hard. Fortunately, we had a community of classmates, friends, and professors who balanced the hard work with a genuine concern for each other’s well-being,” Molineux said.